Blu-ray Picks Of The Week for April 13th. This week offers three major releases in high-def for those wishing to upgrade, and though one of them may not be essential, two of them are. As for the rest, caveat emptor. The true-life story of Apollo 13 is remarkable and intense, and many feel the cinematic adaptation directed Ron Howard and starring Tom Hanks is a top-notch achievement of American cinema, but for me… not so much. I find Howard’s films to be rather bland, and when they’re not bland they tend to be quite forced, but I’m in the minority on this one, though I do find it has its moments aside from the highly involving and thrilling story. Apollo 13 (Universal, 1995) is a film many enjoy repeatedly, so having this one in the Blu-ray format is essential for Hanks and Howard fans. 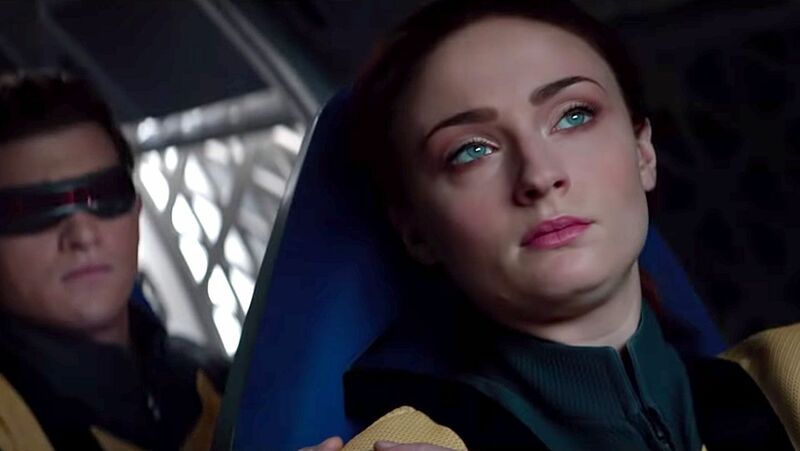 But alas, Houston, we have a problem… The word on the street is that the BD disc is a rather middle-of-the-road transfer in video quality though the audio mix in DTS-HD MA 5.1 may be effective for the home theater. Nevertheless, the release is a big step up from the DVD version. Apollo 13 (15th Anniversary Edition) | Reg. $26.98 | Sale: $18.99 | Available at Amazon.com. The South shall rise again on Blu-ray! Relive the drama, the thrills, the passion and excitement of Gone With The Wind (Warner Bros./MGM, 1939) in its 70th Anniversary Ultimate Collector’s Edition. GWTW is surely one of the greatest, most popular films of all time and a true classic of American cinema. Now you can see Scarlett, Rhett and Mammy in glorious, breathtaking HD. Warner’s has apparently created a strikingly impressive video transfer for the BD release and folks are already starting to say it’s one of the best-looking classic films they’ve yet seen in the BD format. Though the disc has a mono soundtrack per the film’s original release, there is also a Dolby TrueHD mix that attempts to create surround via 5.1 channels, but is limited by the original master (though greatly cleaned up in terms of audio noise and distortion). The Blu-ray release has two versions… a single disc and the Ultimate Collector’s Edition which offers a ton of extras that either showcase the film directly or place it in context at the apex of Hollywood’s Golden Age. As per Amazon.com and the press-release info, for the list price of nearly $85 (though you can find it discounted just about everywhere) you’ll get two new documentaries: 1939: Hollywood’s Greatest Year, narrated by Kenneth Branagh and Gone with the Wind: The Legend Lives On, a half-hour look at the movie and it’s impact on cinema, culture with insight from Ted Turner (one of the film’s biggest fans and it’s owner for a short time until Warner’s purchased Turner Entertainment), former Georgia Senator Max Cleeland, and one of the last surviving cast members, Anne Rutherford. A real treat for some will be the weirdly entertaining TV movie shot in 1980 called, Moviola: The Scarlett O’Hara War, which dramatizes the pre-production and casting of Gone with the Wind (this one starts Tony Curtis, William H. Macy, Sharon Gless, and (ahem) Morgan Brittany). Of course you’ll also get a commentary track (the only bonus feature available on the single disc), documentaries on Clark Gable, Vivien Leigh, and other performers from GWTW, as well as featurettes on the filming and restoration of the movie. The third disc includes a documentary MGM: The Lion Roars on both sides in standard-def, and the entire packages is completed by the collectors box, a commemorative 52-page photo and production art book of stills and theatrical posters/programs along with reproductions of studio correspondence relating to the film’s production (memos from David O’ Selznick, oh my!). There’s also a publicity booklet, a soundtrack CD sampler, and ten 5’x7′ watercolor reproduction art prints. Whew…! Just run out and buy the darned thing already, and be thankful that, with God as your witness, you’ll never want another video version of this movie again! 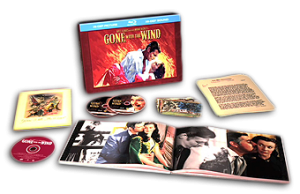 Gone With The Wind: 70th Anniversary Ultimate Collector’s Edition | Reg. 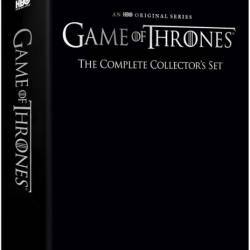 $84.99 | Sale: $52.49 | Available at Amazon.com. 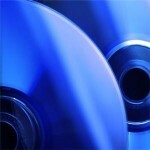 Gone With The Wind (Single Disc Edition) | Reg. $28.99 | Sale: $17.49 | Available at Amazon.com. Wes Craven’s still-terrifying and wickedly inventive gore-fest, A Nightmare On Elm Street (New Line Cinema, 1984), comes to Blu-ray in what many are saying is a rather clean and exceptional video transfer that delivers the goods in 1080p and offers a big improvement over the DVD versions. Apparently the lossless DTS-HD MA 7.1 mix is incredible and nightmare inducing. I’d pounce on this one, as it is a classic of its genre, probably Craven’s career best, and introduced Robert Englund (who, let’s face it, ranks with the greatest of horror-film actors, his work in the first Elm Street film is completely twisted and memorable on par with Chaney, Lugosi and Karloff) to mainstream audiences not already familiar with his work on the original V television series… Oh, and some guy named Johnny Depp appears in one of his first big screen appearances. The disc includes “Ready Freddy Focus Points” a Blu-ray exclusive feature integrated throughout the length of the movie that showcases alternate takes and production videos, two commentaries with the director and film’s stars (one an earlier commentary, one a more recently recorded one), Alternate Endings, three featurettes that highlight Wes Craven, Freddie Kruger and the impact of the film franchise on cinema and culture, and an interactive triva track. Craven’s trippy slasher classic should be quite impressive in HD and is a must-own disc for horror fans… especially you wee ones stuck with today’s crappy remakes. A Nightmare On Elm Street | Reg. $24.98 | Sale: $16.99 | Available at Amazon.com. Pirate Radio | Reg. $36.98 | Sale: $23.99 | Available at Amazon.com. The Slammin’ Salmon | Reg. $34.98 | Sale: $20.99 | Available at Amazon.com. Living Landscapes: Four Seasons | Reg. $12.98 | Sale: $11.49 | Available at Amazon.com. National Geographic: Africa’s Lost Eden | Reg. $29.99 | Sale: $26.99 | Available at Amazon.com.